For the first time ever, Google has awarded Filipino agencies that ran exceptional, impactful and creative Search campaigns. This is the first time “Performance Honors” is awarded in Asia-Pacific. 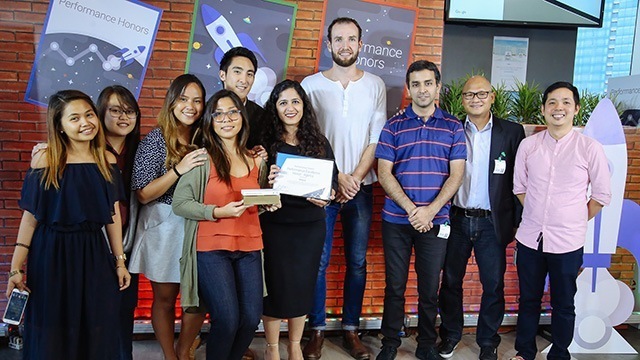 The awarding ceremony was the culmination of a series of Performance Guru workshops that Google held for their agency partners over the last four months. Google has considered Search campaigns that ran on Google in 2017 and they have received multiple entries from six agencies in the Philippines for all categories. These categories include “Mobile Performance Advertising Campaign” for creating campaigns that performed great on mobile, as well as “Integrated Performance Advertising Campaign” for ads that ran on multiple Google platforms. Google has always encouraged their partner agencies and clients to manage their AdWords campaigns in a way that will get their message out with the best possible ad format, with the right timing and appropriate targeting. When coming up with awardees for this first year, they looked at different categories that all together produce a strategic and effective AdWords campaign, including auto bidding, attribution, ad excellence, audiences and always showing. Ken Lingan, country manager of Google Philippines, said that Search ads help millions of businesses worldwide connect with consumers during their path to purchase, but none of that would be possible without a well-managed campaign. “Creating and running AdWords campaigns is often carried out by agencies so this award is designed to recognize and celebrate their important work,” he said. Crafting Search campaigns have been crucial for brands since consumers are turning to Search across critical micro-moments multiple times a day to get things done. A Google and Kantar TNS Study even showed that in Asia, 76% of baby care consumers conduct research before buying a product, and 61% of them turn to Search. Filipinos are also found to do up to seven online searches about a brand before making a purchase. This is why Lingan wanted to congratulate all participants because agencies play a vital part in helping advertisers reach their goals. • The “Industry Rising Star” honor was given to Rexy Quieta of Maxus for showing innovation and significant improvements in actively managing key campaigns of PLDT. • The “Innovative Performance Advertising Campaign” honor was given to Maxus for exploring creative opportunities to maximize the platform for better performance. • The “Integrated Performance Advertising Campaign” honor was given to Reprise Media for connecting Listerine to their target market through multiple Google platforms. • The “Mobile Performance Advertising Campaign” honor was given to Starcom for driving highly effective always-on search campaigns on mobile. • The “Performance Excellence Honor” was given to Maxus for showing strong knowledge of search and translating learning into results. For the next awarding, Google is exploring ways to improve the competition. For now, the company will continue to follow the entry requirements and send out invitations to qualified agencies, such as those who attended the Performance Honors program. However, they are also looking at possibly extending invites to other agencies. “These awards showcase their brilliant execution on Search campaigns, and we are already looking forward to the great work we’ll see further on,” Lingan said.